Written and produced for Dum Records. 1994 Copyight control. Made in Germany. Distribution by Was Word and Sound. 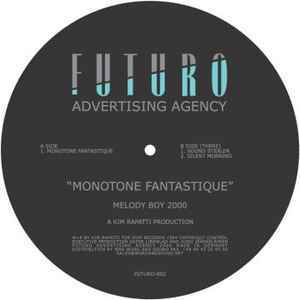 The track "Monotone Fantastique" was previously released in 1994 on the label DUM: <a href="http://www.discogs.com/Melody-Boy-2000-Monotone-Fantastique/release/60881">DUM 014</a>.